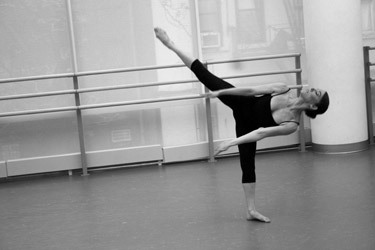 Dance Therapist Bio: KristinaMaría graduated from the distinguished Alvin Ailey Dance Academy. Her classical training also includes the Martha Graham Technique from the Martha Graham Academy. She was a scholarship recipient of the ADF at Duke University and studied under M. Ruiz-Lopez and Eddie Torress. Academically, KristinaMaria holds a bachelor of science degree in Molecular Genetics & Microbiology, and was the Chancellor’s Award Recipient. KristinaMaría performs mixed-genre works (Classical Ballet & Modern integrated with latino movement ). She was has been sponsored by Reebok® to perform Mambo/Salsa in the U.S. and abroad. Notable performances include Citibank/Citigroup Alvin Ailey Theatre, the NYC Apollo Theatre, Columbia University for the president of the Dominican Republic (Leonél Fernandez), World Congreso Bacardí de Mambo/Salsa, EA Sports for FIFA Street3 Video Game, Duke Univ. Baldwin Theatre for ADF, Milano, Jade Jagger Celebrity Launch of New Garrard Boutique - Official Jeweler to the English Crown, Firenze, Roma, la Universidad de Guadalajara, Tribeca Performing Arts Centre, The Plaza NYC, Aracelly Arámbula Principal Dancer at Flushing Meadows/Shea Stadium Main Stage, the Rose Bowl, Hollywood Park Casino, LA Pauley Pavilion, the NYC Copacabana, Oakland Coliseum, and New York Foundation for the Arts. Notable choreographers and/or their works include Carmen de Lavallade, Martha Graham, Alvin Ailey, Donald McKayle, Elizabeth Roxas, Eddie Torres, Milton Myers, Vernard Gilmore, Maguette Camara, and Ming Yang. Other projects include ESPN Deportes, Latin Grammy Organization, La Kalle NY Radio, Mio.tv, NYC Fashion Week, THQ, OM, “Yo” Featuring KristinaMaría, Aircell, American Airlines, United Airlines, LL Cool J Runway Model, and Sony. She is a member of several Art, Science/Tech, & Latino Professional Associations in NY, CA & internationally as well as NY Young Women Social Entrepreneurs, Fearless Entrepreneurs, DONAR latino charitable association, and Future Women Leaders. KristinaMaría’s family roots lie in Torreón, Coahuila and Villalfonsina, Abruzzo. Her main artistic and familial influences also include Guadalajara, California, NY and Puerto Rico. She is a passionate artist, trainer and performer/athlete. Athletic Trainer Bio: KristinaMaría’s training and therapy effectively integrate both the Macro and Micro levels of practical application/function for excellence and peak of performance in body movement. She is a passionate trainer and athlete who is known for bringing and KEEPING her clients at their peak performance levels for competition, attainment of physical and competitive goals and the demands of the professional training lifestyle. KristinaMaría runs KaMasaJéi Professional Wellness & Massage (www.kamasajei.com), experts in Massage & Core Strengthening in Results-Driven Professional Sports, Corporate, and Individual Session Environments. KaMasaJéi Masajistas are Nationally Certified. KaMasaJéi is a member of the Corvel Medical Provider Network, accepts FSA (Flexible Spending Account) Payments, is proud to be an environmentally friendly organization and an Official Sponsor of the American Airlines Wellness for Safety Program. KaMasaJéi Professional Wellness has teams in NY and CA, and does international projects once per year. Her specialties include: Enhancement of Consistent Peak Performance; Cardio/Strength/Fluidity Balance, Movement Economy & Effectiveness; Attenuation/Fortification/Alignment/Flexibility, Impact/Non-Impact Balanced Cross Training, Injury Prevention, Joint Protection, Weight/Inches Reduction . KristinaMaria is special, indeed. She is available for performances and training nationally and internationally. Rates are negotiated per project or client.